Last Tuesday, The Atlantic’s Ta-Nehisi Coates dropped his second book, Between the World and Me, to nigh-unanimous critical acclaim. It deserves it, because it’s an indescribably enlightening, enraging, important document about being black in America today. Coates is perhaps the best we have, and this book is perhaps the best he’s ever been. There’s one passage, though, wherein Coates puts the toll of white supremacy in America into context. Much has been made of Coates’s confessed atheism in the book. Christianity has always been a tool for African-Americans, because with graceful suffering comes salvation, and with salvation comes the light at the end of the tunnel of white supremacy—Heaven, the promise of a better, eternal life. As a corollary, there is the idea of God’s vengeance. (There is a reason why the former preacher James Baldwin, with whom Coates is in all but explicit conversation here, took the title of his masterpiece The Fire Next Time from an old spiritual in which God threatens to follow the flood with apocalyptic fire.) 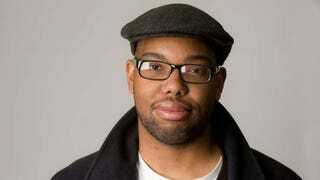 This locates morality in the natural order of things, the idea being that those who, as Coates puts it, believe themselves to be white have committed incredible atrocities to further white supremacy in the name of the American Dream, and will suffer some sort of recourse more or less in line with the hell they have inflicted on blacks. In tracing a line from America’s original sin of slavery to sharecropping to redlining to white flight and a car-centered culture that is warming and destroying our planet, Coates is saying quite literally that white supremacy is destroying the world. This outlook is bleak, and terrifying, and crushing, especially because Coates’s philosophy doesn’t allow for God, or afterlife, or escape. It doesn’t absolve whites who aren’t racist, or know not to use racial slurs; it doesn’t save blacks who have suffered in hopes that it magically gets better; it doesn’t permit any escape from history, even if the heart of every man, woman, and child were to change tonight. It’s bigger than that. It is also elegant in its way. White supremacy, the most destructive force in the world, will be what ultimately destroys it.